Dreamy dreams of becoming a movie star, she has been working hard for years but has not been able to get beyond day player gigs. Her father gives her tremendous pressure and her family tries to convince her to quit. Only her boyfriend Charlie remains supportive. On a movie set, Dreamy runs into Marco, an actor who had once enlightened her. But Marco is washed-up now and his low self-esteem has turned him into a manic depressive. He torments Dreamy relentlessly. 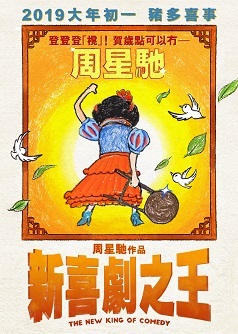 She continues to do her job enthusiastically, but finally cannot endure the repeated knocks on her dream and decides to give it up, go back to her parents and find a steady job. But then she gets the call: she has aced the audition she had done for a famous director for a leading role in his major film. Dreamy is now caught between her dream and reality….